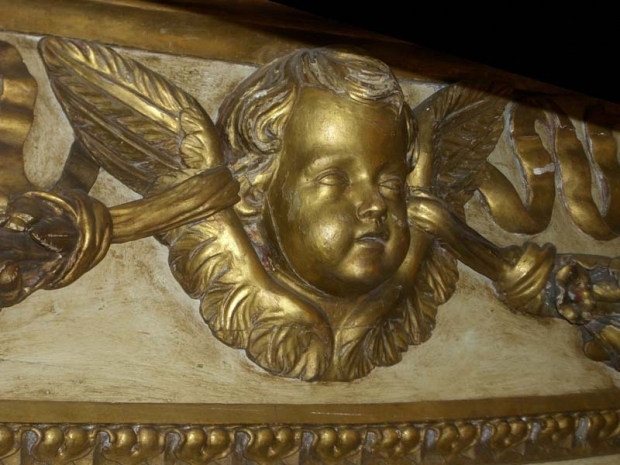 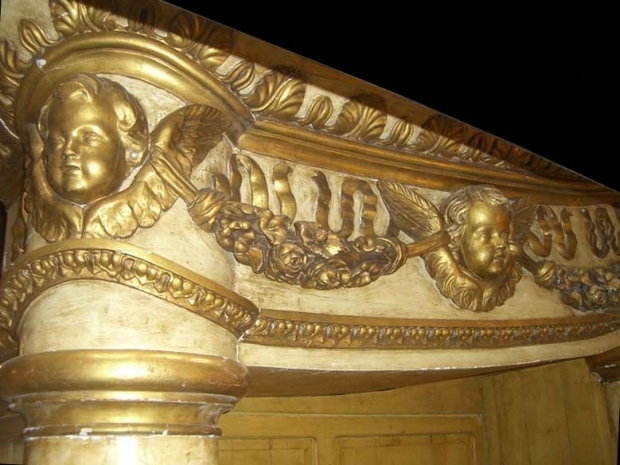 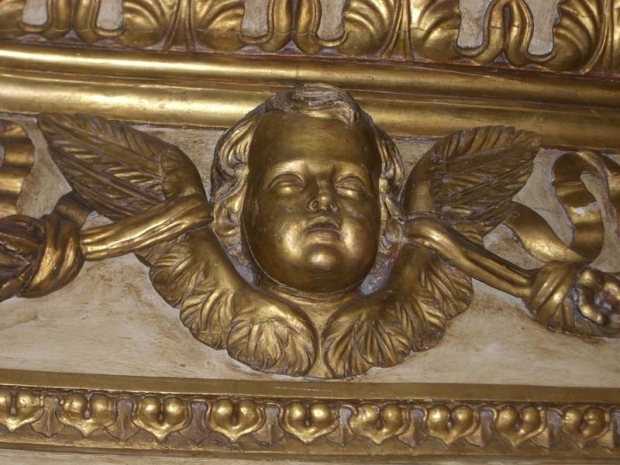 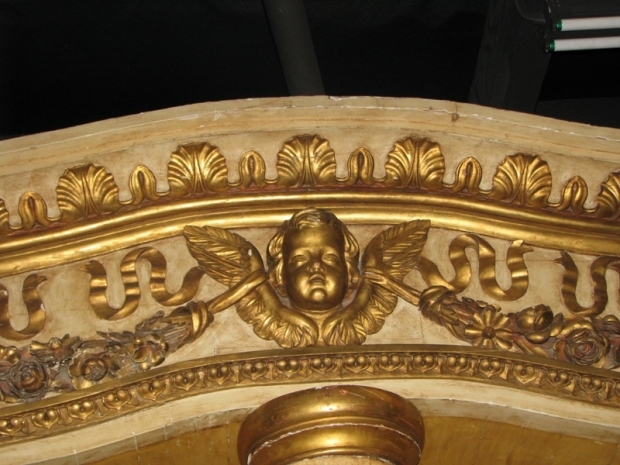 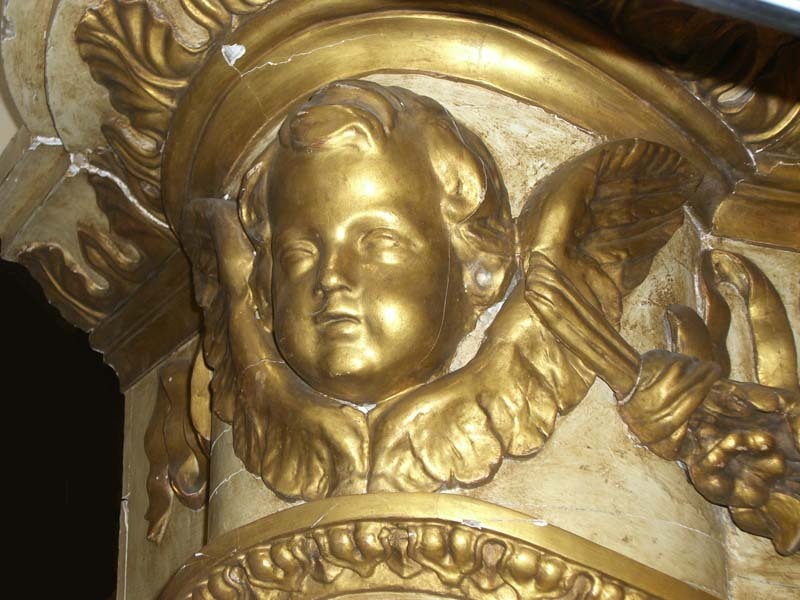 The details on the cherub heads and floral swags are superb and full of life. 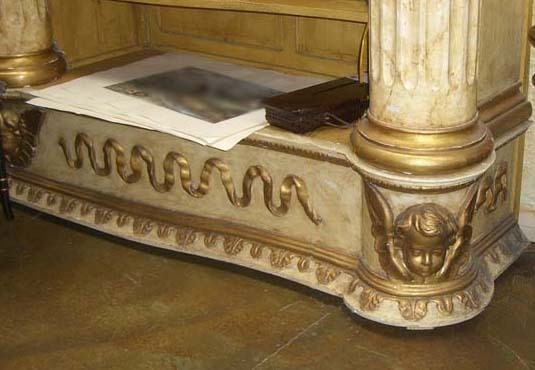 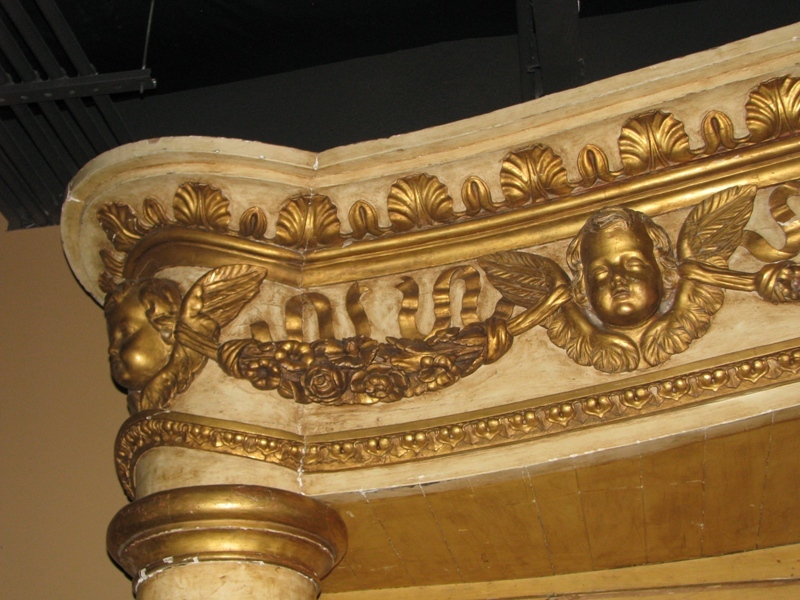 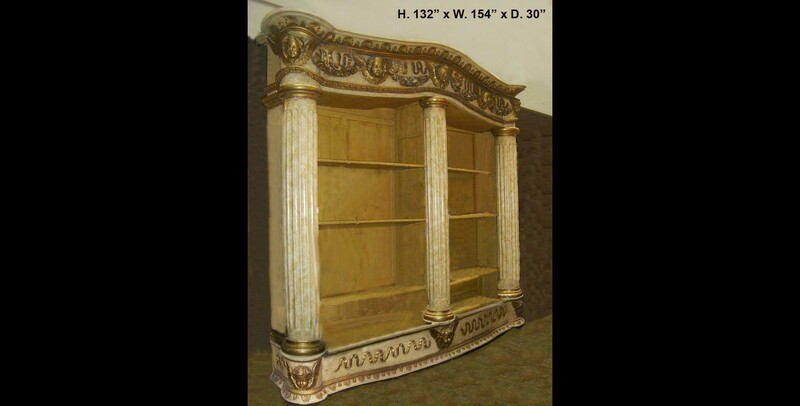 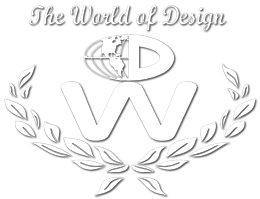 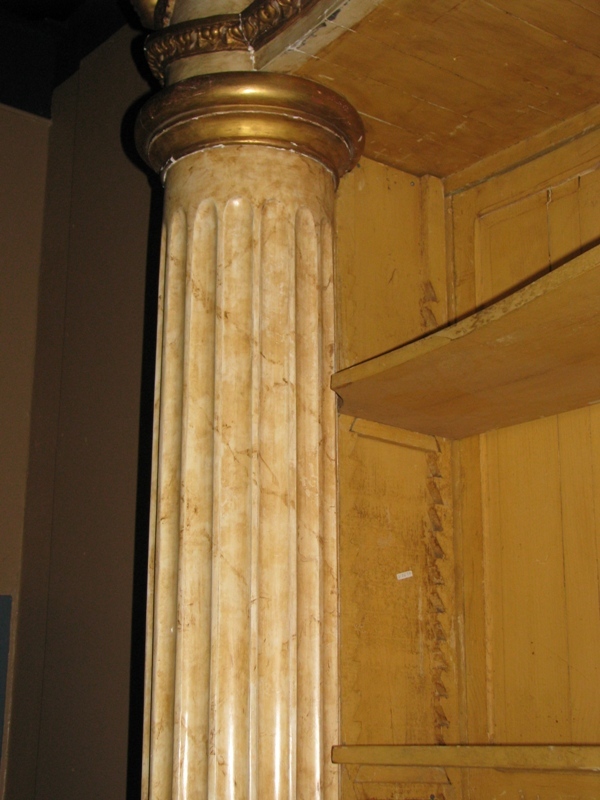 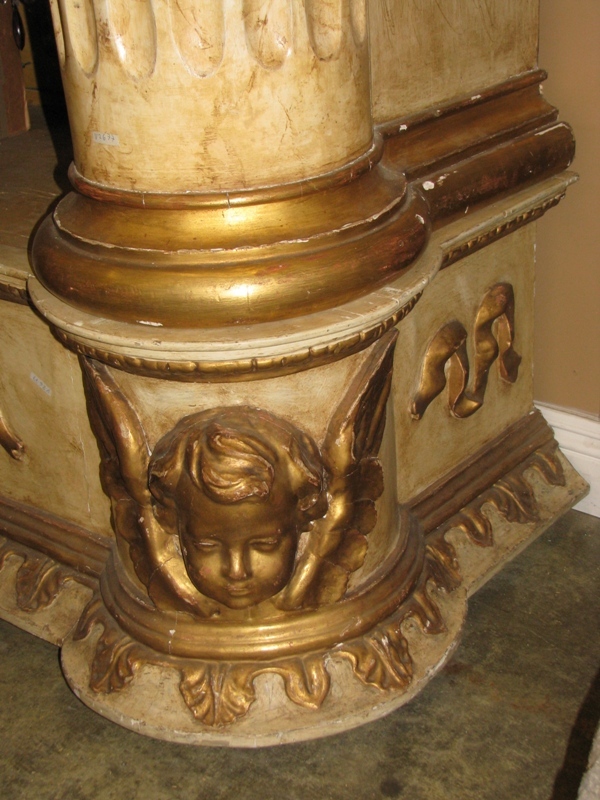 This indicates that they have been hand carved for an Italian palace of someone who is very important in the 19th Century Era and the faux marbleizing finish on the columns is very realistic. 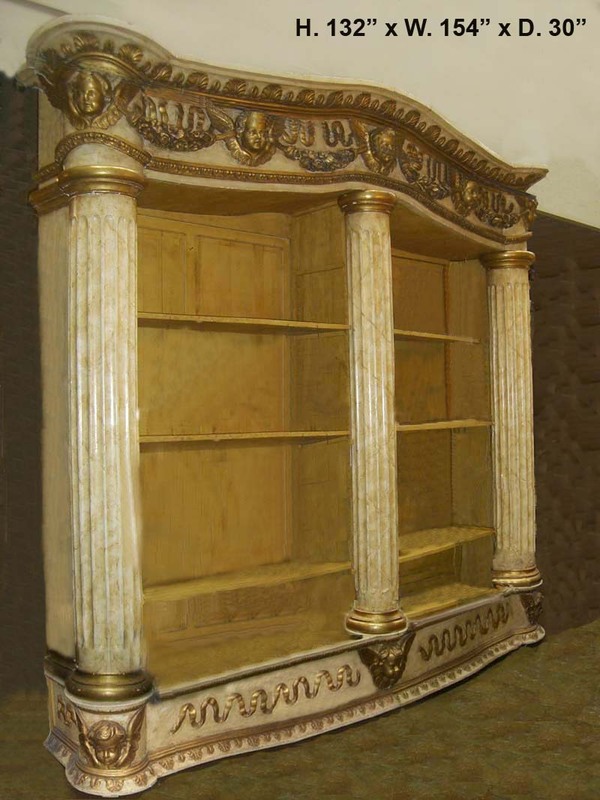 This one of a kind architecture was used as a Bibliotheque in the palace.